This is a three year long funded studentship based with the ASCPP in Lanarkshire. An opportunity to research in an innovative and supportive partnership between the University of the West of Scotland and two leading Scottish Charities. The proposed study has been developed with residents, a range of staff at Erskine, academics and researchers from the ASCPP and Alzheimer Scotland. A participatory action research study applying the concept and method of marginal gains to meet the needs and improve quality of life for people with advanced dementia for meaningful, personalised activity. This research will support human rights and improve quality of life for people with advanced dementia living in a care home through engagement in meaningful activities. People with advanced dementia have fewer opportunities to engage in activity attuned to their reduced communication, understanding and mobility. This leads to reduction in movement, fewer opportunities to experience pleasure, limited social engagement and more rapid deterioration. Working directly with people at the advanced stage of dementia this study will use small continuous change, called marginal gains, to examine equal opportunities for activity and find new ways and ideas to improve quality of life. Dr Margaret Brown (ASCPP), Dr Rhoda Macrae (ASCPP), Dr Angela Beggan (School of Health and Life Sciences, UWS). Closing date for applications is 9th February 2019. 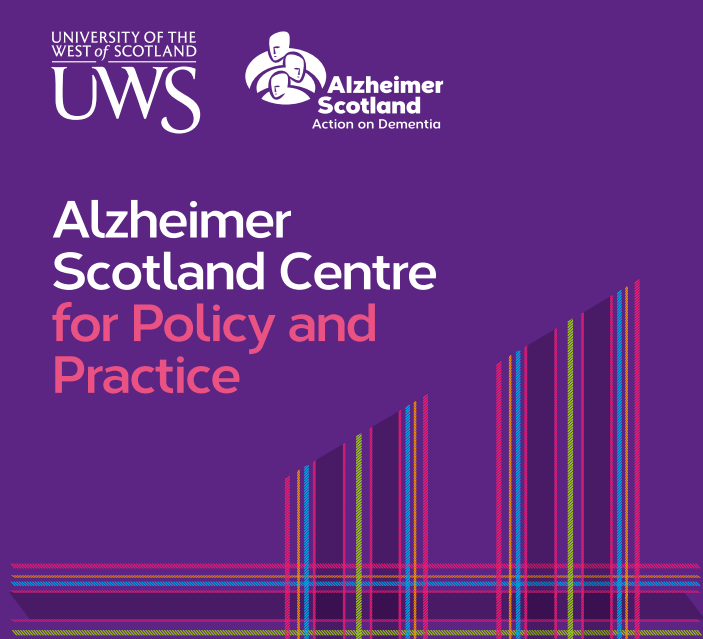 Click here: https://www.jobs.ac.uk/job/BPJ314/phd-studentship-with-the-alzheimer-scotland-centre-for-policy-and-practice-ascpp-at-the-university-of-the-west-of-scotland-in-partnership-with-erskine-and-alzheimer-scotland to apply.